Follow the Tour de France from Provence, through the high Alps, and all the way to Paris! Read More. 2019 is the 75th anniversary of D-Day. Join us in Normandy! Read More. Starting every Sunday, enjoy a guided tour through the most cherished vineyards in the world! Read More. Customize your own guided mountain bike tour. Read More. 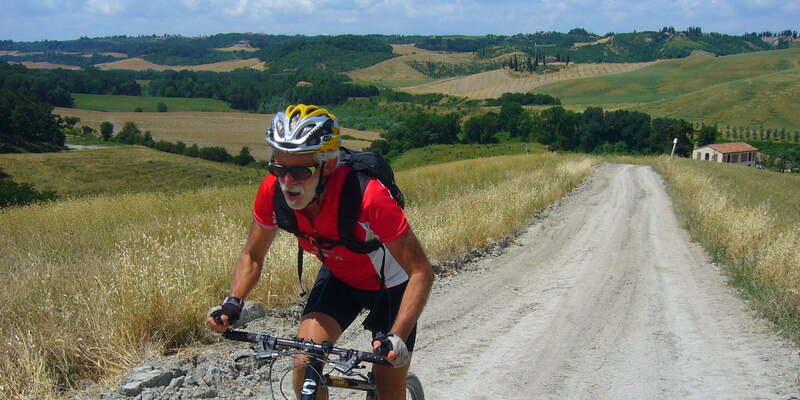 Customize your own guided mountain bike tour in Tuscany. Read More. Customize your own guided Tuscany tour following the legendary L’Eroica route. Read More. 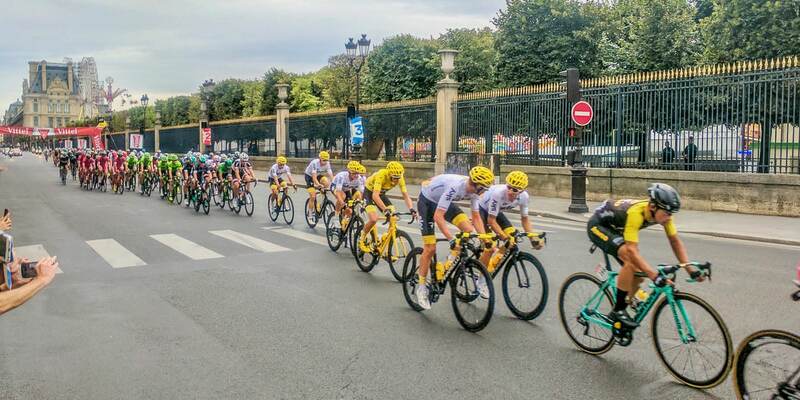 Follow the Tour de France all the way to Paris! See multiple stages and conquer many famous climbs! 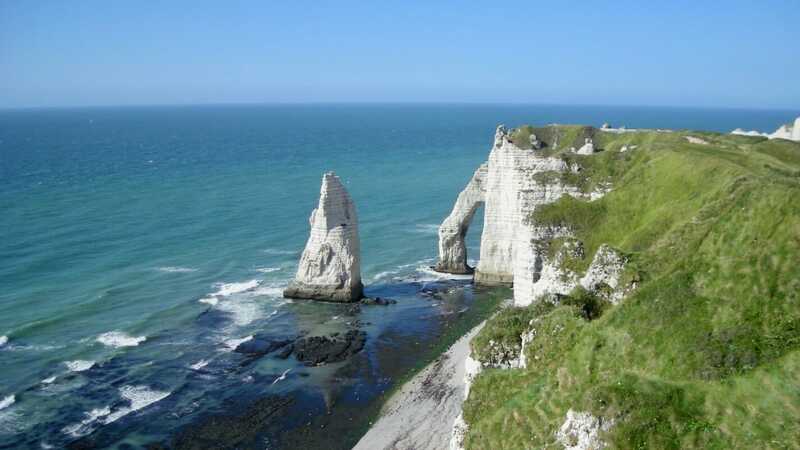 2019 is the 75th anniversary of D-Day, and we will be exploring the sites and experience the beauty of the coast of France that saw the first days of the turning of tides of WW2. 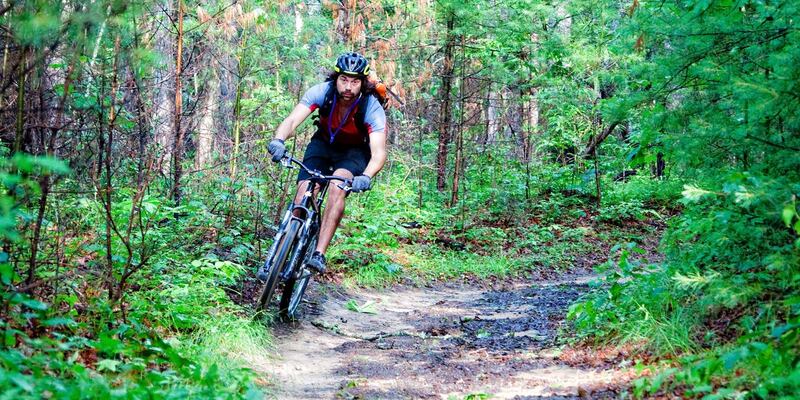 Customize your own guided mountain bike tour in the Blue Ridge mountains of North Carolina. Pisgah National Forest and Dupont State Forest await! Starting every Sunday, enjoy the best of Burgundy! From Dijon, down through the Cote de Beaune and Cote de Nuits, finishing in Chalon sur Saône. The best wine tour ever! Want to experience Tuscany by riding the famous Strade Bianche (white roads)? We are now offering a guided Tuscany offroad & gravel bike tours in a fashion very similar to our self guided tours – YOU name the dates of the tour. Want to see more of Tuscany than what regular paved roads will show you? We are now offering a guided Tuscany mountain bike tours in a fashion very similar to our self guided tours – YOU name the dates of the tour. This is a fine example of a tour that we can customize for you and your group. Enjoy the best of the Dordogne and Lot departments: pre-history sites, Rocamadour, foie gras, the best wines, and beautiful quiet roads. Ask about how we can create this guided tour for you! This is a fine example of a tour that we can customize for you and your group. Traverse the French Pyrenees. 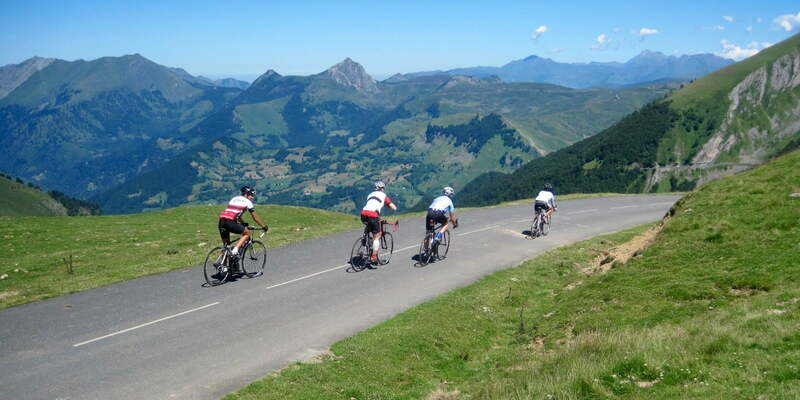 From the Atlantic to the Mediterranean, you’ll experience the best of the Pyrenees and conquer the famous cols of the region including the Tourmalet, Aubisque, and Aspin. For those looking for a more hands-on and supported cycling experience or adventurous riders looking to test their personal limits, our guided bike tours let our guests ride with the confidence of having a guide with you at all times. Following world-class riding routes, we deliver exhilarating experiences that each rider can complete successfully, at their own pace, and with the help of our seasoned guides. Beyond time in the saddle, clients enjoy hand-selected experiences that reveal the extraordinary beauty and authentic culture of each region. Our tours achieve “structure without schedule,” striking a balance between showcasing the best each destination has to offer and letting guests explore on their own. Though daily itineraries are the same, rigid schedules are not enforced. Our tours are set up to be rich in experience without being overly intimidating. 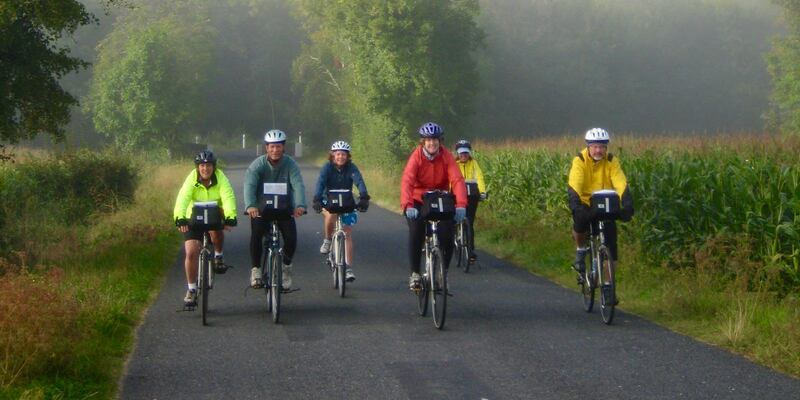 Our Guided Bike Tours include the Tour de France Tour (operated most years), our 2019 Founders Tour in Normandy, and other private custom tours requested by groups of guests. Examples are the RAID Pyrenees and guided Dordogne Tours. We can also organize custom guided road and mountain bike tours in Tuscany, and Burgundy, as well as Mountain Bike Tours in beautiful Western North Carolina (near Asheville). Please contact us for more information and to request a custom tour! We distinguish ourselves from others in our space by crafting robust, satisfying experiences that keep clients coming back. Small group tours. With an average tour size of 12 and a maximum of 18, our guests enjoy the social intimacy of a small group and the benefits of individual attention from our staff. Without the hustle and bustle of being herded from one place to the next, our guests find space to relax. Local, full-service staff. We work only with local guides who are native speakers of the language and intimately familiar with the region. In addition to terrain guides, each tour will bring one or more mechanics, maintaining a guide to client ratio of 1:5 or better. Unparalleled pricing. With higher quality and lower prices than outfits with comparable itineraries, our value can’t be beaten. Longstanding relationships with service providers in destination regions position us to offer great pricing, which we pass on to our guests. Family-owned since 1996. With hundreds of tours, more than a thousand satisfied clients from all over the world, and scores of positive reviews and testimonials to our credit, we are a proven outfit with a long track record of excellent results. One of the highest repeat/return rates in the industry. Many of our clients enjoy our tours so much that they choose to ride with us again and again. Our referral and rewards programs are designed to thank repeat customers for their business.